Beautiful weather, later sunsets...it's time again to take walks after work along our Downey riverbeds. 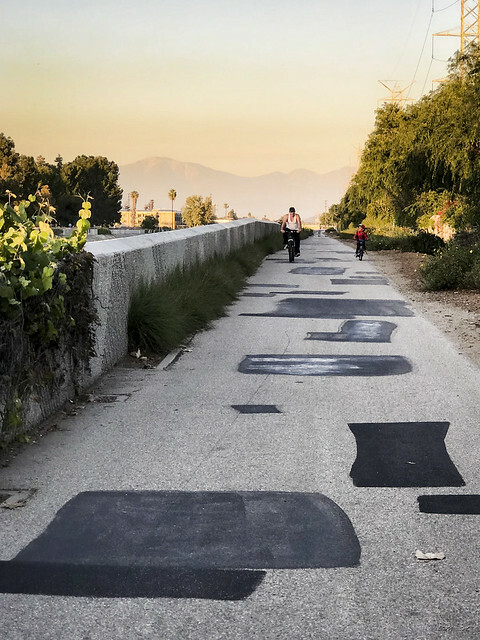 My favorite is the Rio Hondo riverbed, which has bike and walking trails along both sides. I wasn't the only one enjoying the time, as this father and son pair of cyclists show.